Proteins are an essential nutrient that the human body needs to build muscles. They are necessary in the creation of a strong and sturdy framework that supports our different bodily organs. They are also an integral player in the formation and distribution of essential enzymes and antibodies that ensure that everything is working well and in order. Thus, in order to be in tip-top shape, you have to meet the recommended amount of protein that your body needs on a daily basis. Unfortunately, there are many people, particularly men, that are misinformed regarding proteins. They either consume a lot less than the suggested amounts or pair them with the wrong types of food. As a result, they find themselves facing health issues brought about by a deficiency. 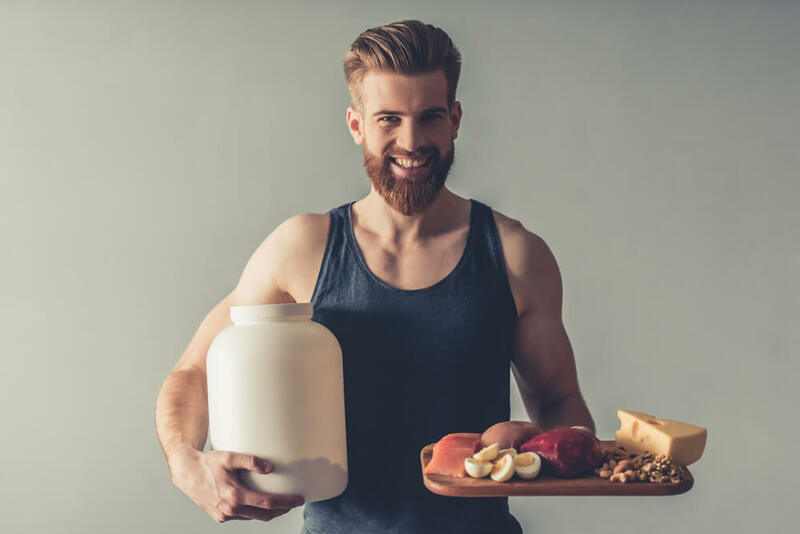 To protect yourself against protein deficiency, it is important that you know what the common mistakes men make when it comes to protein consumption so as to make better choices for your overall health. Mistake #1: Being completely dependent on protein shakes and protein bars. Protein shakes and protein bars are excellent sources of protein. A lot of weightlifters and bodybuilders rely on them for some of their protein needs. However, it is not advisable to make them your one and only protein source. Do you know what else are contained in protein shakes and bars? They also hold a good amount of chemicals, sugars, and other additives that can bring serious harm if consumed often and in large amounts. Thus, make natural and organic food, like poultry and red meat, your primary protein sources, and protein shakes and bars as backups. Mistake #2: Completely eliminating carbohydrates from their diet. Eating a balanced diet is crucial in being fit and healthy. Along with regular exercise, it can help you lose weight faster, feel better about life, and open up various opportunities in your personal and career endeavors. Even though proteins offer a long list of health benefits, they cannot be solely relied on for your day-to-day nourishment. 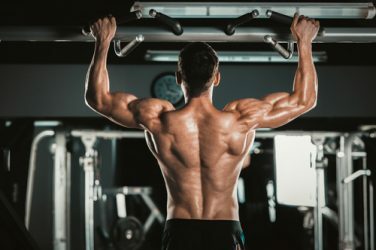 While they do help repair and rebuild muscles that break down every time you exercise, they cannot perform many other functions that your body needs to fully recover. The proteins that you consume need a vessel, a mode of transport, that can deliver them to the different parts of your body. They cannot do that on their own, unfortunately. That is when the other nutrients and minerals, specifically carbohydrates, come in. Carbohydrates act like vehicles that take the proteins from the departure point to the various areas of the body that require rebuilding and repairing. 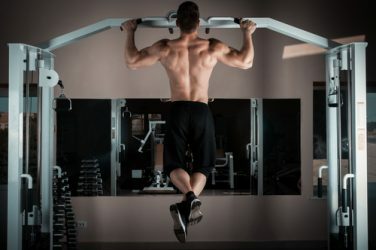 They make sure that all the cells and tissues that have broken down during your workout receive the sufficient amount of protein necessary for them to mend. To ensure that this entire process goes without hitch, you have to take in the recommended amount and healthy varieties of carbohydrates. In no time, your body will recuperate and be ready for your next workout session. Mistake #3: Thinking that incomplete proteins can replace complete proteins. There are different kinds of proteins — some are classified as complete, and some are incomplete. Complete proteins refer to food sources that contain all the nine essential amino acids that the human body needs. Some good examples are red meat, fish, eggs, poultry, cheese, and milk. On the other hand, incomplete proteins lack one or more of the nine essential amino acids. They are typically plant-based foods, like rice, legumes, beans, grains, and vegetables. For optimal health, it is advised that you introduce more complete proteins to your diet. Unfortunately, there are people that believe that replacing all complete proteins in their diet with incomplete proteins will not make any difference. They alter their meal plans to only include greens, neglecting the fact that they are depriving their bodies of some essential amino acids that are key to cell, tissue, and muscle building. To fulfill your daily nutritional requirements, it is best to prepare a combination of complete and incomplete proteins every meal. Mistake #4: Consuming the recommended daily protein allowance in one meal. Not everyone has the luxury to prepare three meals a day. Oftentimes, people skip breakfast, and make do with a small lunch and a big dinner. While this is not necessarily life threatening, it can mess up your body’s efficiency and productivity. No one is saying that you have to prepare a big breakfast feast everyday. You can still do your usual toast or oatmeal, and a glass of orange juice. However, experts recommend that you have to feed your body proteins too before you head out to give your body the boost that it needs to take on the challenges of the day. So, why not fry an egg or two, or slab some peanut butter on your bagel? And, for lunch, make sure to have 20 to 30 grams of proteins in your dish too, because you will need more to last until the end of the day. Do the same for dinner, and your body will thank you. Proteins can fuel your body to stay active and dynamic for as long as possible. They prevent nausea and dizziness, as they have the ability to maintain your blood sugar at the right levels. As a result, you are able to keep going longer and complete more tasks than before. 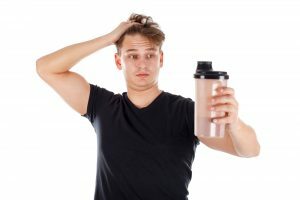 Mistake #5: Relying on one particular food for proteins. Proteins are available in a wide variety of foods. There are proteins in seafoods, poultry, beef, pork, chicken, almonds, broccoli, soybeans, corn, asparagus, green peas, artichokes, and Brussels sprouts. There are even proteins in fruits, most notably avocados, kiwifruit, guavas, and apricots. Thus, there is no reason why you only have to eat one kind of food every single time. If you decide to give one type of food the role of your only protein source, you are just endangering yourself. 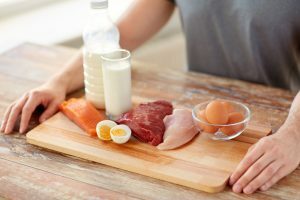 You are putting yourself in a situation where you are risking your body of missing out on certain amino acids that are crucial for your health. If you consume the same dish for an extended period of time, over and over, you are denying your body from absorbing several other nutrients, vitamins, and minerals that can help optimize the benefits that you can get from your proteins too.